Ok, this one is real easy too. 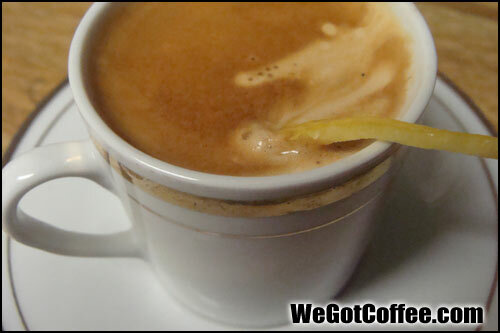 It is just and espresso with a thin curly lemon peel. You will want is as the lemon curl, and not shredded – you want to be able to drink it without eating the lemon shreds. The curly lemon peel also looks super cool hanging out of your cup.